"These are not just the writings of an elderly jihadi," one official said of bin Laden's communications. Personal journal has guidance on how to attack U.S.
(CNN) -- Data and documents taken from the compound show that messages from Osama bin Laden did make it out of the compound to other members of al Qaeda, a U.S. official says. "There are strong indications there is back and forth with other terrorists," the official said. U.S. officials have said they view the raided compound as the al Qaeda leader's "command and control center" but had not explained before why they believed that to be the case. "These are not just the writings of an elderly jihadi," the official said. The source said there is evidence of two-way written communications demonstrating that not only was bin Laden sending messages, he was getting responses as well. The official also provided new details on bin Laden's personal journal, which was seized during the Navy SEAL raid, the official said. The handwritten journal, which was referred to last week by other officials as the al Qaeda playbook, is being reviewed by intelligence officials. Other handwritten materials are being reviewed, too. The initial assessment is that the writings are from bin Laden, not the other occupants of the house. The official emphasized that the U.S. government is continuing to look at all the material, and the initial assessment could change. The journal includes information about the importance of attacking the U.S. and lists key dates on the American calendar -- including July 4, Christmas and the 10th anniversary of September 11 -- and other guidance for how to attack the United States, the official said. 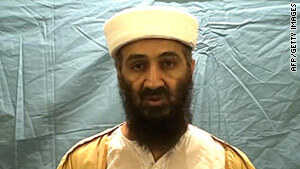 U.S. investigators believe similar information is contained in other documents, the source said. Both New York and Washington are mentioned in the document. The idea of targeting railroads, which authorities warned about last week, was learned from this notebook, the official said. At this point, the official said, there is no indication of a time, date or place for any specific attack, and much of what has been seen are more bin Laden ideas than actual plans.